Do You Want My Help Now? Let's Get Started Solving Problems! Important! Please read before leaving this page! 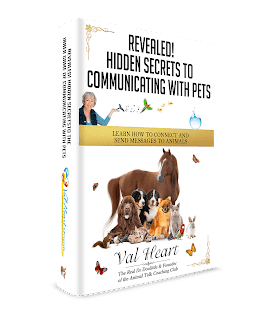 You’re going to LOVE my special report The 10 Things You Must Know BEFORE Hiring An Animal Communicator because finding the RIGHT practitioner to help you with your pet is critical to your success in solving problems! As you’ll soon learn, not all communicators are created equally! Many may not have the skills, education, expertise or experience that you need to help you solve problems. 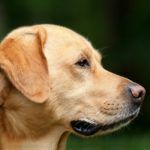 If you want a professional to talk to your pets, then you have to feel uber confident in their ability to do exactly that and to do it very well. You want to know how to find the best one for your needs, and how to interview them to be sure so you won’t get taken advantage of, get bad advice or guidance, or waste any more of your precious time, energy and money. Over the years of working with animals of all kinds, I noticed that people were missing important information their pets were telling them. Time and again, I saw their caretakers get frustrated, depressed, trying all sorts of different tools, vets, trainers and techniques, with little success. 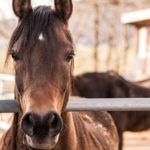 Often, a more forceful approach only caused their animal to do the exact opposite of what they really wanted them to do. I never understood why they simply didn’t ask the animal what was wrong first before they spent so much energy, time and effort chasing their tails on expensive guesswork! My approach to healing animals and their people is unique, fun and frankly amazing. Because doing the work of better understanding your pet, bonding and synchronizing with them so you can experience the relationship of your dreams is critically important. My proprietary approach to communicating with animals and healing is uniquely powerful, inspiring and beneficial. Talking with animals makes all the difference in the world and can change your life. Are you struggling with training or frustrated with your pet’s bad behavior? Without talking to them first to find out what the problem actually is from THEIR perspective, you can do a lot of expensive guesswork chasing your tail, and be no better off. Are you worried thinking your pet is in pain or dreading that your pet is getting ready to die? As a loving pet guardian, you want to make the right choice for them, but without talking to them first to find out what they need, how they feel, if they are in pain, if they want help and if so, what would that be and when to do it for them? Things can go wrong in a hurry and you may wind up making the wrong decision or end their life too soon. When that happens, people grieve and feel the burden of guilt for the rest of their lives. Find out for sure now with a heart to heart conversation. Does any of this feel like what you’re going through? The good news is, that’s exactly what I’m here to help you with. Right now you can get an Animal Communication, Problem Solving & Healing Laser Session with me for only $275! You’ll come away with a greater understanding of what’s working, what’s helping, what’s not helping and why. You’ll feel more peaceful, clear and empowered as well as more bonded and connected, more in tune with each other than ever before. If you’re struggling with illness or pain, I’ll do the healing work and intuitive medical scanning I’m famous for and you will both feel better, with less pain, confusion, frustration or worry. No matter what problem you have with your pet, I have the answer. 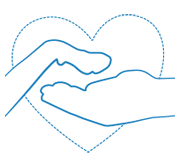 Together we can solve behavior and training problems, heal health issues, listen in to what’s on your pet’s mind and heart, and improve your relationships dynamically. Normally, I charge $395 for a 45 minute session. For today only, as a thank you for getting my free report, you can get a One Heart Laser 30 Minute Session with me for only $275. I know this isn’t for everyone. If you’re not ready, then just scroll down and click the No Thanks link below the button and I’ll send you to get your report. Just remember that you won’t ever see this deal again because I don’t discount my consulting sessions and the Laser Session isn’t available on my website. If you are ready for the breakthrough you’ve been praying for, then this is your chance. Scroll down, click the button and you’re IN! We won’t waste time, you’ll know what you need to know, and have the support you need to help your pet be the best they can be. How it works: Once you’ve signed up, you’ll get access to my online scheduling system. Choose the first available opening that works with your schedule. You’ll be asked to fill out a BodyMind Assessment Questionnaire, one for you and one for each animal you’d like me to work with. And I’d love for you to send me a picture too! What if you don’t need a session right now? With animals, you know that anything can happen at any time. You have 6 months from the date of purchase to use your session. Yes, Val! 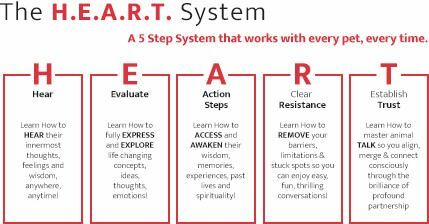 I Am Ready For a One Heart Animal Communication, Problem Solving & Healing Laser Session! Words cannot express how eternally grateful we are for your assistance during the transition of our 16 year old cat, Punkin. My only regret is that I did not contact you sooner! Before our session I was struggling with many unanswered questions and concerns about his well being. I felt helpless as I watched him decline so quickly. He had become increasingly vocal in the recent months and I could sense that there was something important that he was trying to tell us that I just could not gain clarity on. At times he also seemed confused and lost as if he could not see or sense his environment. The insight that I gained from our session and the synchronicity that followed was life changing for me. He also had Kitty Alzheimers or dementia, and you gave us very useful advice on how to help him with that. His entire body relaxed. He perked up and was very lovey. He didn’t cry all night. One of my main concerns is that I did not want him to suffer. You told me in the session that he would give me a sign when he was getting ready to go. He amazed me by managing to climb into our hammock all by himself, I have no idea how he did that, but as I cuddled him, it felt like this was his sign. In the morning we went to the Vet with just a little fear…. (mostly mine) . He went into his carrier with very little resistance and he talked to me the entire time. I kept reminding him of your conversation with him and he calmed. Our Vet was amazing. She did an exam and confirmed that it looked like kidney/liver failure. She talked us through the process of euthanasia just as you had and put my mind at ease. He drifted off to sleep. We talked with him, stroked him and when he took his 2 last breaths she leaned down and whispered to him “There’s the Rainbow Bridge, be free!”. It was so peaceful. I felt his spirit float out like a feather on the wind. I am releasing a ton of emotion today. Mostly gratitude and joy for a life well lived. I thank you with every cell in by being for the work you do. Your gift enabled us to have a weekend of communication, closure and peace instead of uncertainty, guilt and fear. Your intuitive insights were real, clear and practical. They all made perfect sense! You not only confirmed my gut feelings but added very powerful and common sense approaches that helped my formulate a plan of care for what turned out to be our final days together. I feel like now I have more peace and closure about many unanswered questions. Thank you Val, from the bottom of my heart! “My husband and I first started using Val’s services to help us with our dogs, Heidi and Speedy. Heidi was aggressive and unpredictable, and Speedy was all over the place! We used to dread taking them on walks, and they barked at strangers and family alike. Heidi had bitten several people and I was a bit afraid of her. Their aggression seemed to be escalating and we didn’t know what to do. We never knew what would set them off, and lived in fear that they’d bite someone or get in a fight with another dog. She taught us so much in a short amount of time! They became really well behaved and reliable. We actually looked forward to going for a walk with them! That was amazing and something we never thought would happen! And as we learned to communicate with our dogs ourselves, things got easier and easier. Then I got pregnant with our first child. Val’s healing work and gentle therapies helped me have an easy pregnancy and delivery. It was fascinating when the dogs told us things about the baby as it was growing inside me. Since Heidi had never been comfortable around children, we were terribly afraid of what she might do when we brought our baby home. Val worked with us, helping us all build our confidence as we learned how to give Heidi good clear signals and support, and Speedy more direction about what we wanted her to do. It turned out that when we brought Luke home, it was a non-event! We’d never have believed it possible before. I’m sad to say that Heidi’s difficult personality and chronic pain issues got the best of her, and we decided to do the compassionate and safe thing for all of us. With heavy hearts, we wound up putting her down last spring. We know we did the right thing by her and our growing family. And after talking with Heidi through Val, we know that Heidi is fine now too, and is happily watching out for us in spirit. I also decided to work with Val on some personal issues and I’m thrilled to report What’s happened. We’ve worked through some marital issues and now my husband and I are closer than ever before! I’ve also suffered with a long time addiction to cake and sweets that began in college. And in our last session, Val helped me bust the addiction! Before, I Couldn’t stop eating until it was all gone and I’d find myself taking frequent trips to the bakery for more. I even confess I had taken to hiding sweets and would “plot” how I could get seconds or thirds at a party and no one notice. I knew it was time to get help. Why do I recommend this Program? First of all, Val is just a wealth of information on marketing, advertising, setting up your online business and all of the many details that are involved in these enterprises. She also has endless ideas for each student, specifically, to help them create what they want for their business. And she will give you tips to improve what you are currently doing to make it better. Second, this Program is designed from the inside out and gives you the opportunity to look at where you might be blocking your own success. Val teaches you how to move through these blocks and have the right mindset to create a solid foundation for a successful business. And finally, its’ a safe place to try out your ideas, talk about your doubts, and fears, and just let yourself be vulnerable. It can be scary putting yourself out there to the world and this Program gives you a safety net to try things out first, fine tune and work out the kinks within a supportive and nurturing environment. So now I have a direction to take my business and I have a better understanding of how to market, advertise successfully, really engage people and bring them in. I’m so excited to move my business forward to the next level!!! Cat and Owner Can Finally Live Together in Harmony Again! ” I didn’t think anything could help and I was at the end of my rope, ready to give my cat away. I just couldn’t take it anymore. 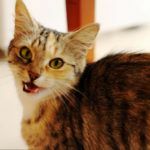 In just one session, Val changed my relationship with my cat from one of long standing frustration, constant upset, love-hate — to one of effortless joy! Val listened to my grief and frustration with my life and my pet. She spoke loving truth, taught me new behaviors and skills, practiced them with me, and what happened next was utterly miraculous! Everything we practiced came to pass. My sleepless nights are over! I now have a cat who loves and adores me, and whom I love and adore.